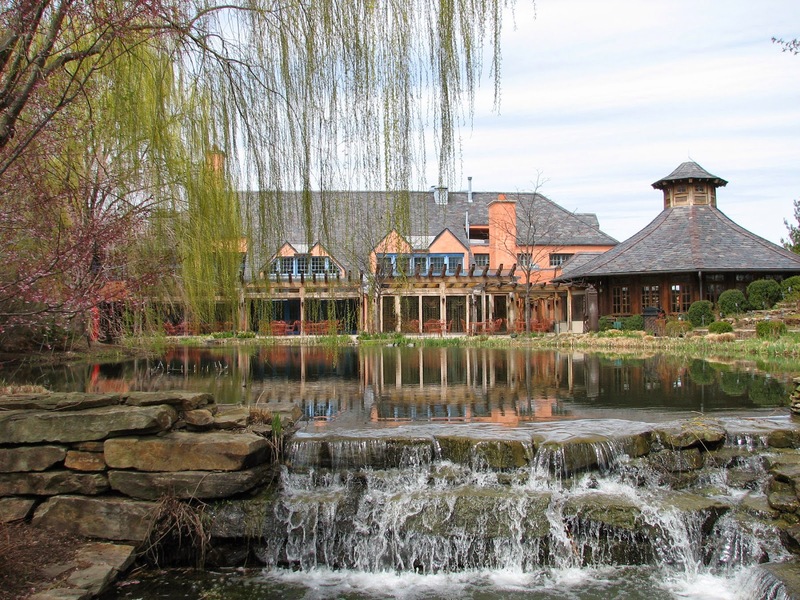 Grounds For Sculpture is also a garden and arboretum with paved terraces, pergolas, courtyards, lake and ponds. The grounds are arranged so that you never know what to expect over any small hill. A surprise awaits you around every corner. The sculptures cover all types of art styles from classical to modern and are almost hidden, waiting for you to find them in secret garden. There is a walled garden with a set of very clever fountains. You will not be able to put away your camera the entire time you are there. There are about one dozen peacocks freely wandering around. They have enchanted visitors of all ages by displaying their beautiful trains or surprised and delighted those who spotted them strolling the park with newly hatched chicks. 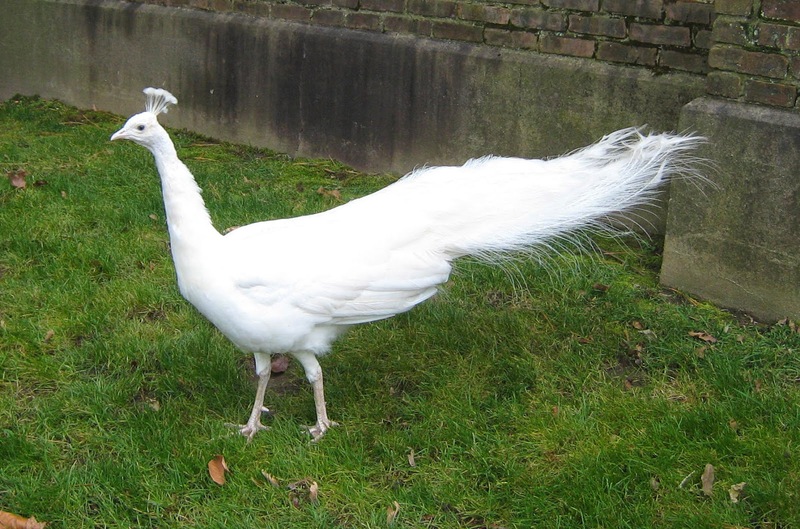 Two years ago, one very rare white peacock was added to the group. The kids can run around the park and touch or even climb the art. There is a warming hut in the center of the park where you can to sit by the fire in the cold months. 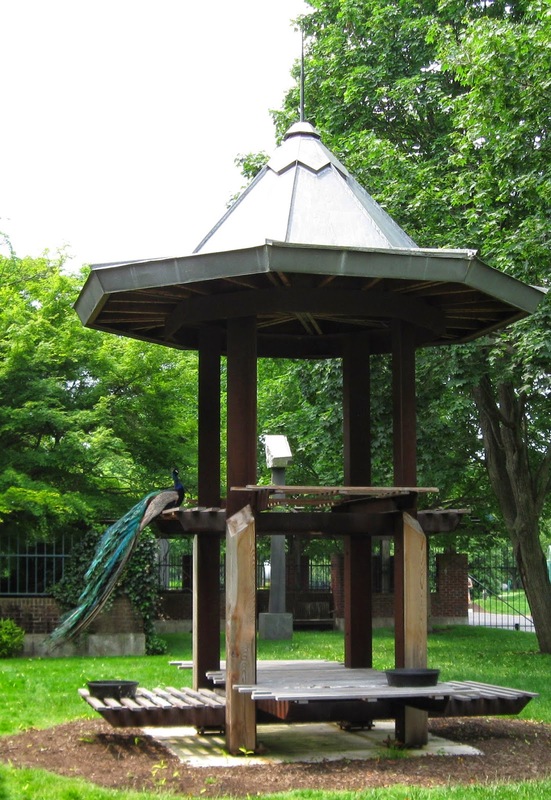 The is a Peacock café near the central entrance to the park. In a good weather you can pack your food in a picnic basket and have a lunch in the gorgeous Acer Courtyard or throughout the park. The food is overpriced but you can pack a lunch at home and just buy tea or coffee, as I always do. At the other end of the park there is an upscale Rat’s restaurant , featuring country French cuisine. It is probably New Jersey's best-decorated restaurant. 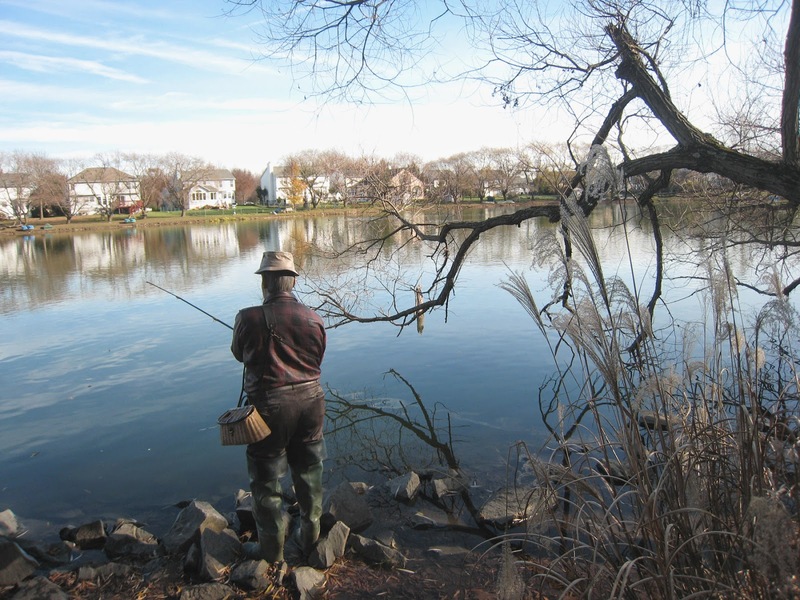 It was designed by the founder of the park John Seward Johnson II, with an impressionist Claude Monet-styled atmosphere. It is named after the character "Ratty" The Wind in the Willows,a classic of children's literature by Kenneth Grahame, first published in 1908. 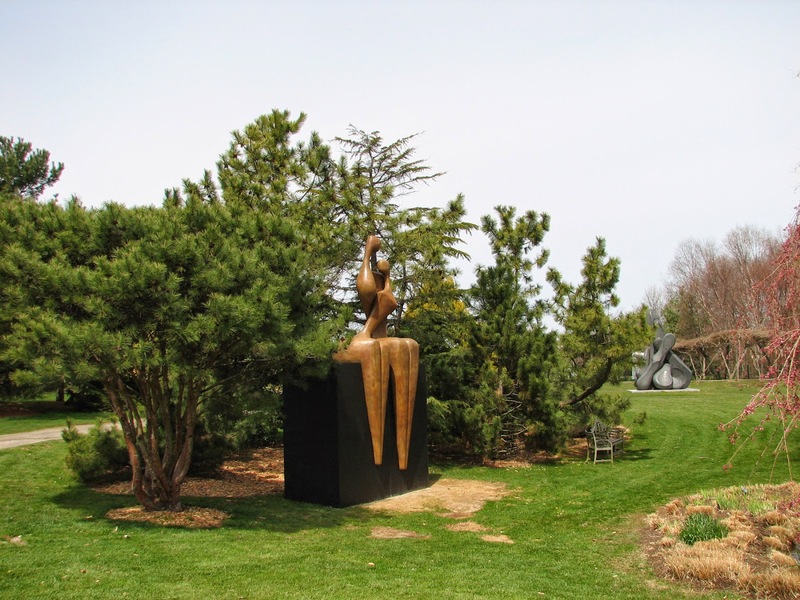 Every year there is something new in the park - the park's outdoor collection grows by fifteen sculptures annually. There are about four hundred fifty reviews of the park on Tripadvisor and 85 percentage of the visitors rated the park as “excellent”. 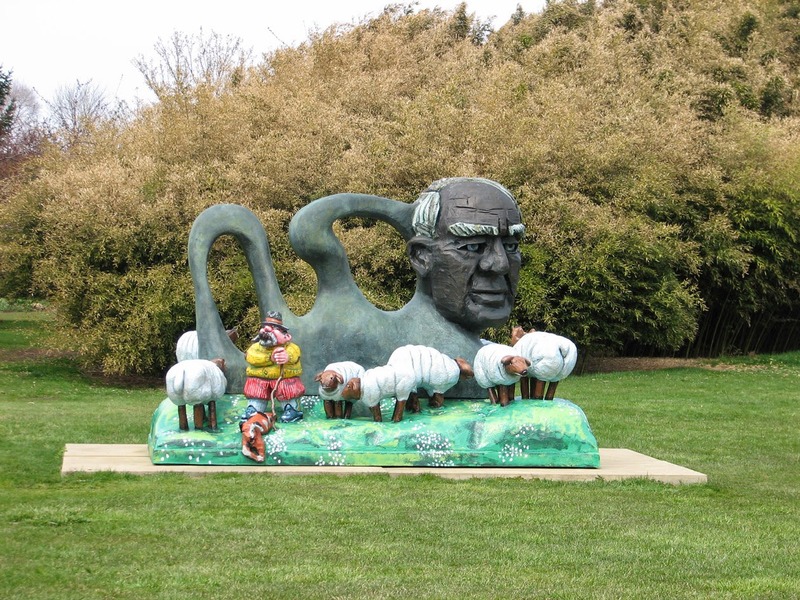 Grounds For Sculpture is located on a site that was formerly part of the New Jersey State Fairgrounds. Fairs were held occasionally in Trenton Township since 1745 when King George II granted a royal charter allowing them for the purpose of buying and selling livestock and other merchandise. This charter provided for the first fair in colonial America. In 1980 the land was sold and the New Jersey State Fair was held for the last time on this site. 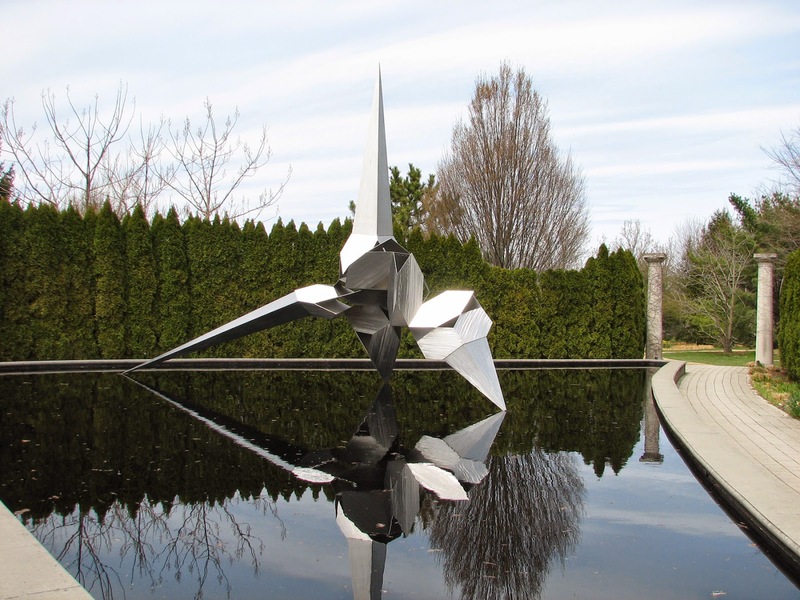 Construction on the sculpture park began in 1989 and Grounds For Sculpture opened to the general public in 1992. 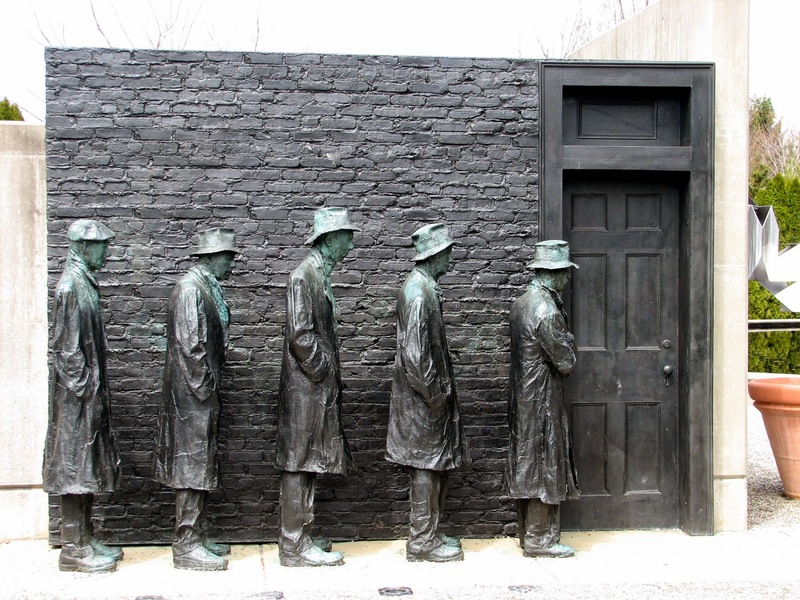 In one of my next posts I will tell more about the history of the park and its’ founder J. Seward Johnson, Jr.